The design of the McLaren 720S Spider by MSO is inspired by the car’s groundbreaking aerodynamics, and showcases what their MSO bespoke division can do. 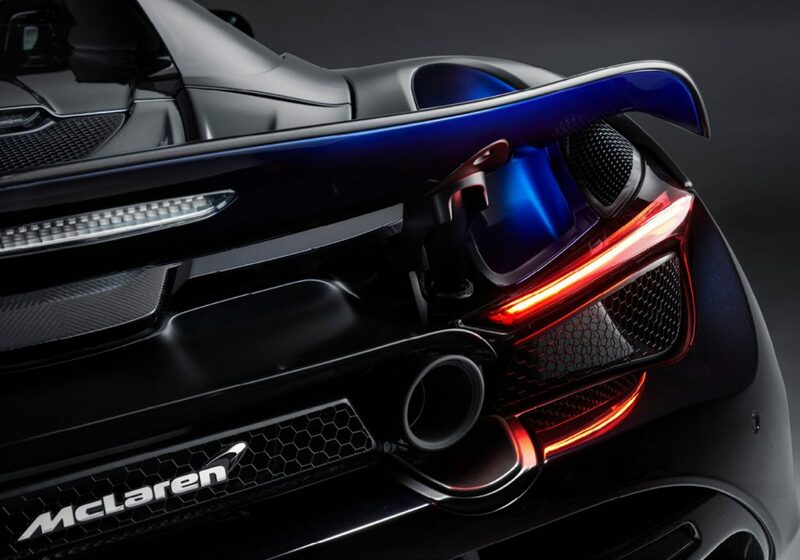 The McLaren 720S Spider is a car shaped by the power of the air. McLaren Special Operations has taken the 720S Spider to another level. 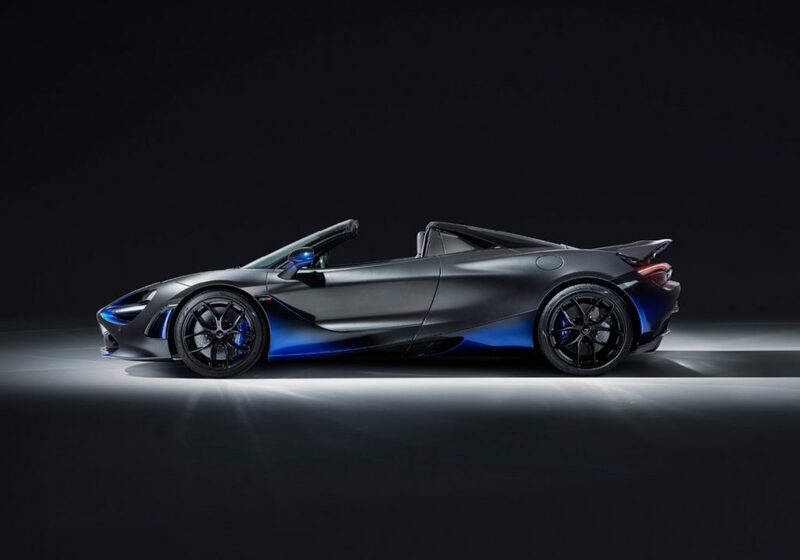 As customer interest in the new McLaren 720S Spider accelerates following publication of the first driving impressions, McLaren Special Operations (MSO) is using the Geneva International Motor Show to display a unique car that showcases the artistic finesse and design subtlety that are possible with an MSO Bespoke order. The McLaren 720S Spider by MSO highlights the advanced aerodynamics of the new Super Series convertible by accentuating elements of the car’s aero design, in a spectacular fusion of colours. 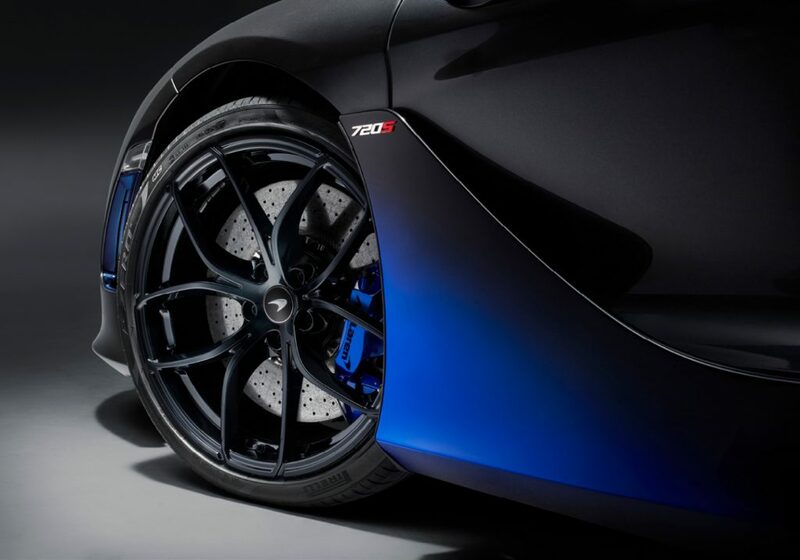 Each aero accent features a harmonious blend of three MSO metallic paints: Cerulean Blue, Burton Blue – as used on the McLaren 720S GT3 – and Abyss Black. The innovative tri-tone paint finish, named Coriolis, advances technologies demonstrated by the McLaren 720S Velocity by MSO first shown at Geneva two years ago; that car’s two hues of red epitomised the sporting aggression of the Coupé, while this new approach for the Spider places a more subtle emphasis on the Super Series convertible. MSO’s specialist craftspeople dedicated in excess of 260 hours to comple the tri-tone paint elements alone, applied to individual body panels to emulate the flow of air over the 720S Spider’s aerodynamic body while the car is moving. Parts finished with the tri-tone paint include the front splitter, hood air intakes, front air intakes and side panels, lower door and lower side air intake panels, door mirrors, rear bumper and the underside of the active rear spoiler – all key elements in delivering the exceptional aerodynamic performance of the new Super Series convertible. The highlights are set off against Meteorite Grey body paint, the newest addition to the MSO Bespoke range of exterior colours and developed specifically for this design theme. The tri-tone blend is complemented by 10-Spoke Super Lightweight forged wheels with an MSO Bespoke Abyss Black gloss finish and MSO Bespoke Burton Blue brake calipers. MSO Defined features chosen for the car include a Gloss Carbon Fibre Tonneau Cover; this complex component has been specially developed for the 720S Spider and combines with carbon fibre treatments to the rear deck, and carbon fibre extensions to the upper trim and sills to demonstrate an almost seamless flow from the cabin to the rear of the car. The carbon fibre treatment also includes the diffuser and B-pillars, whilst other options include a sports exhaust, Stealth Pack – which adds more of a subtle, darker finish to the exhausts, airbrake mechanism, exterior window surrounds and oil cap cover panel – and Electrochromic glass for the panel of the retractable hardtop. 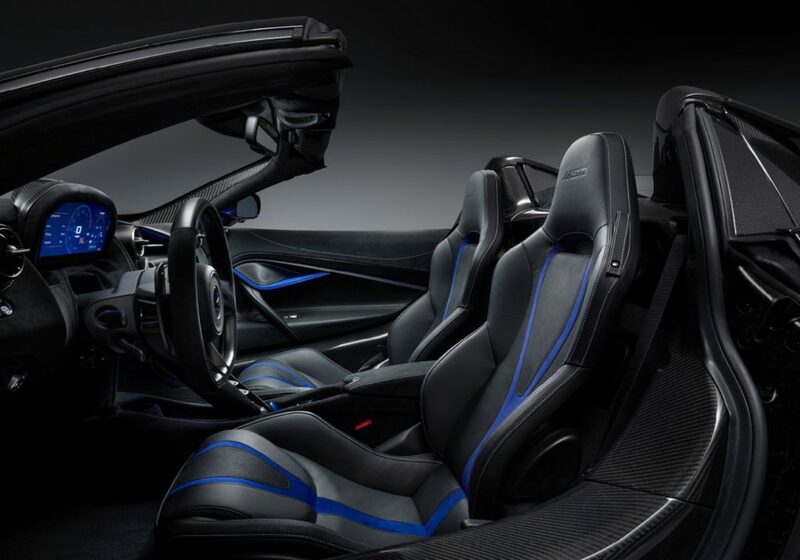 Inside, too, the 720S Spider shows its MSO Bespoke colours with a cabin trimmed in specially developed Burton Blue Alcantara® and Jet Black leather. All primary and secondary interior components are carbon fibre and there is the option of exposed Visual Carbon Fibre for the Monocage II-S, the light but immensely strong carbon fibre structure at the heart of every 720S Spider. MSO Bespoke options that reinforce the stylish qualities of the 720S comprise gloss finish carbon seat backs, plus MSO Bespoke branding to accelerator pedal, dedication plaque, floor mats and the headrests, the latter in a new debossed treatment. Even the key fob gets the MSO Bespoke treatment with colours complementing the tri-tone blend and electroform MSO branding. Other equipment fitted to the car reflects its breadth of abilities from luxurious tourer to exhilarating track car. Ever since it was launched at the Geneva Motor Show in 2017, the 720S Coupé’s design has been acclaimed for its innovative aerodynamics, characterised by its ‘eye socket’ front air intakes and double-skin dihedral doors that channel air into the side radiators. The 720S Spider seamlessly combines the Coupé’s aerodynamic performance with a one-piece retractable hard top and glazed flying buttresses. With lightweight, Proactive Chassis Control II and 720PS 4.0-litre twin-turbocharged V8 engine, it is the most accomplished convertible supercar ever from McLaren – and with this MSO treatment, has the visual innovation to match. Find out more about the McLaren 720S Spider here and McLaren’s MSO Services here.